A true classic never goes out of style. The Cool Springs recliner certainly has the making of a new classic recliner design. Tear-drop shaped upholstered arms are topped with gently sculpted wings flanking a pleated bustle back. Tobacco stained taper block feet add to the updated transitional feel of the recliner. Be certain not to forget options such as over 300 fabric and leather upholstery choices as well as power adjustable headrest. 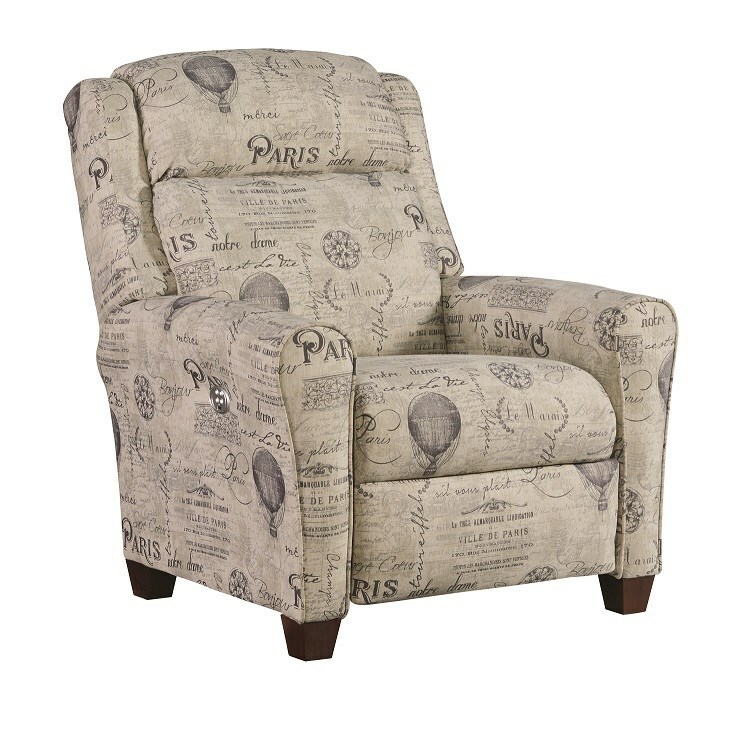 This "special order" high leg recliner is available in multiple colors and fabric options. Pricing varies based on fabric group.